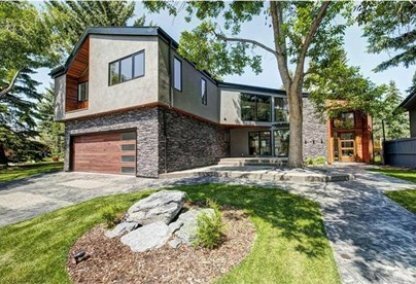 Find the newest Bayview homes for sale & real estate listings in Calgary below! Annexed to the city back in 1956, this small yet quaint neighborhood was built within Calgary’s south zone to give its residents the benefit of being within close proximity to the city’s plethora of commercial establishments. For information about Bayview neighbourhood properties for sale or to schedule a personal home showing call your Bayview Calgary real estate team today. Bayview housing market statistics: As of April 25, 2019 there are currently 6 properties for sale in Bayview listed as active, with an average asking price of $1,557,133. The highest-priced property is $2,675,000; the lowest priced property can be purchased for $669,900. Bayview neighbourhood listings have an average price of $463 per square foot, based on listings with 3.7 bedrooms, 4.2 baths, and 3,188 square feet of living space. Want to purchase a home in Bayview Calgary? Call your Bayview real estate team, Justin Havre at RE/MAX First - 403.217.0003. Your neighbourhood Bayview real estate agents and agents are here to help with the Bayview housing market in Calgary. Officially established as a residential community during the late 1960’s, Bayview’s urbanization took place at a comparatively laid-back pace. As of the year 2007, Bayview's total population was up to 655 residents, and it hasn’t changed much since. Nonetheless, the average income of all tenants belonging to this prestigious community amounted to over $180,000 per year, making it arguably the wealthiest neighborhood in the city today. The vast majority of homes for sale are of the single detached format, while the remainder are comprised of luxury apartments. Recreational activities available to the Bayview community’s residents are plentiful, as it is located within close proximity of Glenmore Reservoir, which in turn gives home buyers convenient access to hiking trails, boat docks, Glenmore Park, Heritage Park Historical Village, and more. Also within the vicinity of Bayview real estate are other amenities that help foster a more active lifestyle for inhabitants, such as a playground, skating rink, and community centre. This prominent neighbourhood also grants its residents the convenience of being able to walk to a number of restaurants that serve a diversity of international and local cuisines. Furthermore, the Southcentre mall and Zumiez Chinook Centre properties provide Bayview occupants everything they’ll need on a daily basis through grocery stores, trendy shops, department stores, and other commercial establishments offering in-demand products and services for purchase. In addition to the above, the Bayview neighbourhood also encompasses a number of reputable private and public educational institutions ranging from the elementary to senior high school levels, such as Nellie McClung, John Ware, and Henry Wise Wood. Thinking of buying or selling a home in Bayview? Let our local real estate agents help guide you through the purchase of your next home, or to expertly negotiate the sale of your current home. As local Bayview real estate agents, we're experts on the market dynamics unique to the Bayview real estate market. We'll get to work for you today! Contact Justin Havre at RE/MAX First - 403.217.0003 to learn more about buyer or seller representation. Planning to sell your Bayview home? Check out our free home evaluation, where you can instantly price your Calgary home price your Bayview home online, in minutes!